Over the course of your life, you have probably heard thousands of health tips. Get more sleep, exercise, quit smoking, get vaccinated, wear sunscreen… there are so many different steps you can take to help your health. In terms of cancer prevention, one of the most important tips you can take to heart is receiving cancer screenings at the appropriate times in your life. There are certain tests your doctor can perform on you that can help discover cancer before symptoms even appear. In general, the earlier you can find cancer, the easier it is to treat it. Often times, by the time symptoms appear, the cancer has spread to other parts of the body, which makes it more difficult to cure. Therefore, a screening test is a good way to catch cancer early. 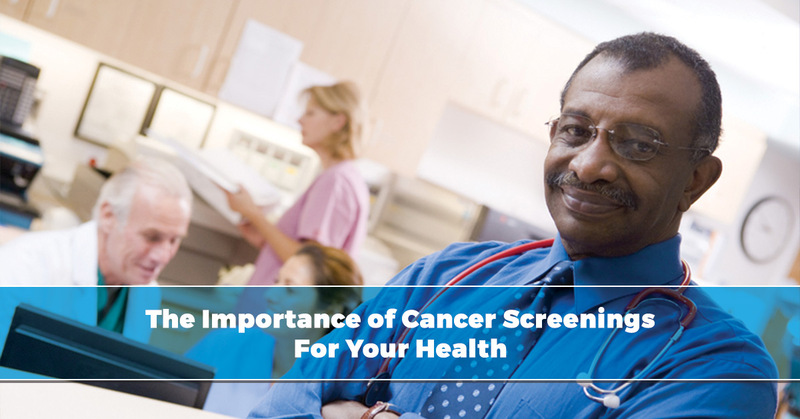 If your doctor asks you to be screened for cancer, it does not necessarily mean that they believe you have cancer; a cancer screening is generally done when there are no symptoms present, and therefore, no reason for them to think you have cancer. Rather, they may ask for this test due to risk factors, such as your family history or your age. What happens during a cancer screening? 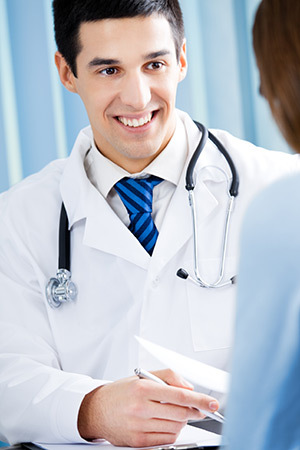 Your doctor will examine your body for signs of disease and to get a general picture of your overall health. You will also need to answer questions about your medical history, such as family history, health habits, and past surgeries or diseases. Cancer screening tests also often involve lab tests. Your doctor may collect samples from you to test, such as your blood, urine, or tissue. You may also require an x-ray or MRI during a cancer screening. This allows the doctor to look inside areas of the body. Depending on the type of cancer for which you are being screened, your doctor may administer genetic testing to look for any gene mutations that are linked to certain types of cancer. Cancer screening is not always necessary. For example, there are certain types of cancer that are so rare, you will probably not be screened for them unless you have a family history of it. In your lifetime, your doctor will likely recommend that you be screened for the four types of cancer most common in men: colon, lung, prostate, and skin cancers. Below is a chart to help you know when to get screened for each respective cancer. If you are looking for a men’s health clinic in Glendale, AZ, contact Men’s Vitality Center today. We offer a variety of services to help men live their healthiest, happiest lives. If you are concerned about your risk of cancer, come into our men’s health clinic for a screening today.